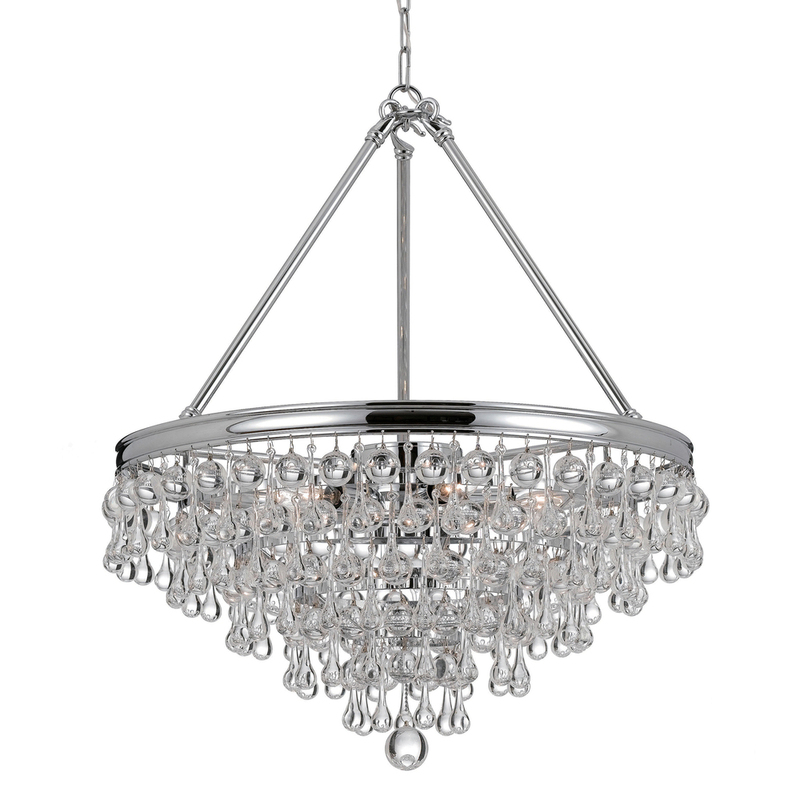 The sparkle of blown glass, paired with the gleam of polished chrome, give this chandeliers a modern elegance. Sleek and contemporary, the Calypso Collection is decorated with cascading crystal clear smooth glass balls and teardrops that really reflect the light. The collection's design was based on a custom chandelier created for a hip, retro restaurant, and it'ss perfect for any space that needs a little extra sparkle and glamour. These versatile fixtures are stunning in a dining room or entryway, hung over a kitchen island, lighting a hallway or providing sparkle in a closet or even a little girl's bedroom.